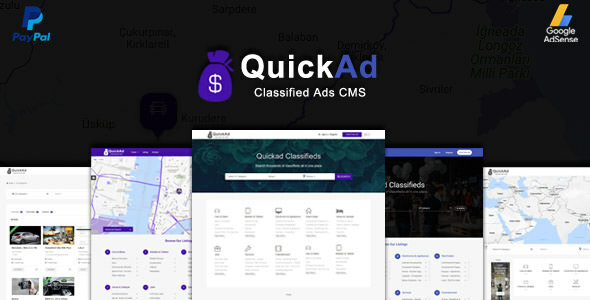 Quickad Classified Ads Php Script is Premium Classified Php Script with fully responsive Material & Classic design. Built to be beautiful, fast and powerful. One click setup User can easily setup this theme and easy to use and customized. 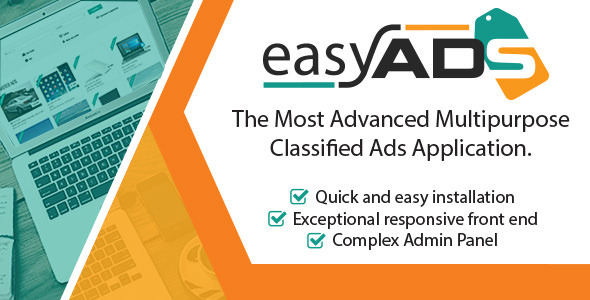 EasyAds is a Unique Complex Classified Ads Application that is great for almost any case of use from massive market place with different categories to a unique niche market, like auto. With its clean and modern design, EasyAds classified ads cms helps you make real money and build a business in only few minutes. 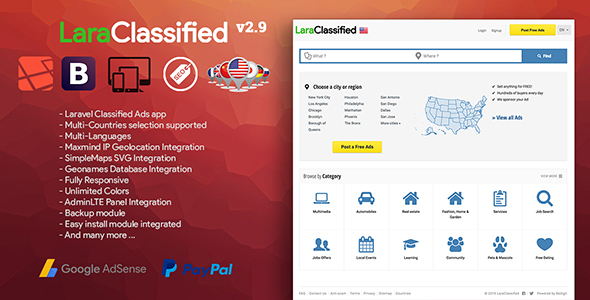 LaraClassified is a Classified CMS, a powerfull modulable app and has a fully responsive design. Built with Laravel 5.2 and Bootstrap (HTML5 & CSS3). It is packed with lots of features. 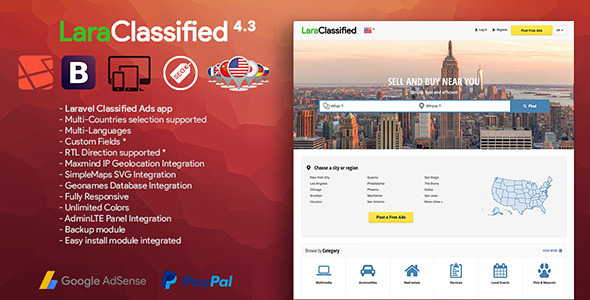 OxyClassifieds is a feature-rich, versatile and powerful script, very easy to configure in order to serve for different purposes: general classifieds, auto classifieds, real estate classifieds, boats classifieds, pets classifieds and so on. 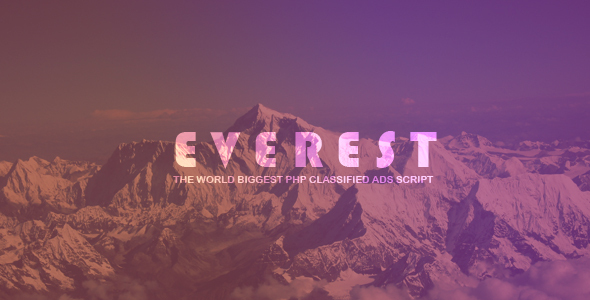 The script is written in PHP and uses MySQL as database backend. 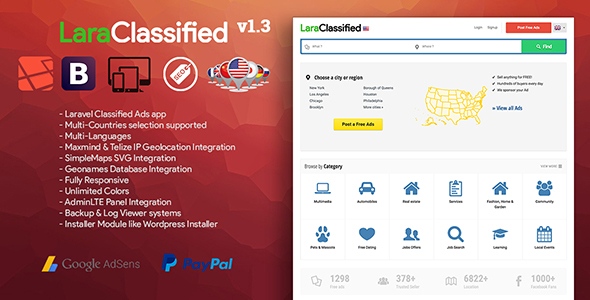 Professionale Classified software. More than just a Web Software. Kagao is a web based application. 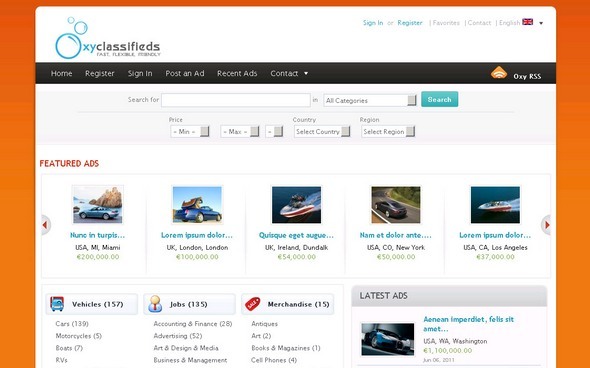 Our software allows you to start a professional as classifieds market. Kagao includes all the major features which must provide a Professionaler Classified both of the functions here as well as the design. This app works as a one stop solution for all your daily needs whether its info about movies in your area , Restaurant next door, Hotels, Airlines, Resorts, Real Estate or as simple as the nearest ATM, it has it all. 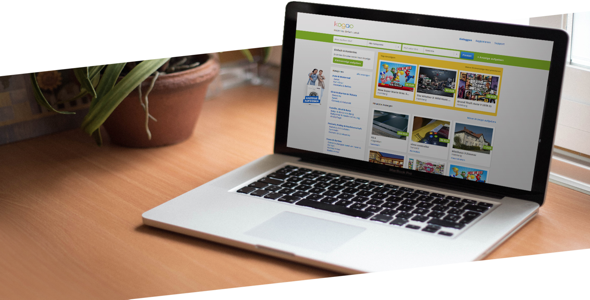 Above all, you get access to millions of ratings & reviews by users which helps you to make an informed decision.